Itâ€™s a battle between two winless teams this Sunday at 1 p.m. when the Indianapolis Colts (0-2) visit the Jacksonville Jaguars (0-2). It is very early in the NFL season to say this, but for the Colts this is a must win situation if they want a decent chance at making the playoffs. Very few teams have ever gotten to the post season in the NFL after losing their first three games. If Indy does not make it to the postseason this year, it will be the third straight time that they have missed a shot at the Super Bowl. Itâ€™s been rough going for Indianapolis this season, losing 31-24 to Denver the first week, and then last week, in their home owner, losing to the Eagles 30-27 after building a substantial lead into the third quarter. Although it seems as though this game should be an easy win for Indy, it seems as if nothing is easy this year. 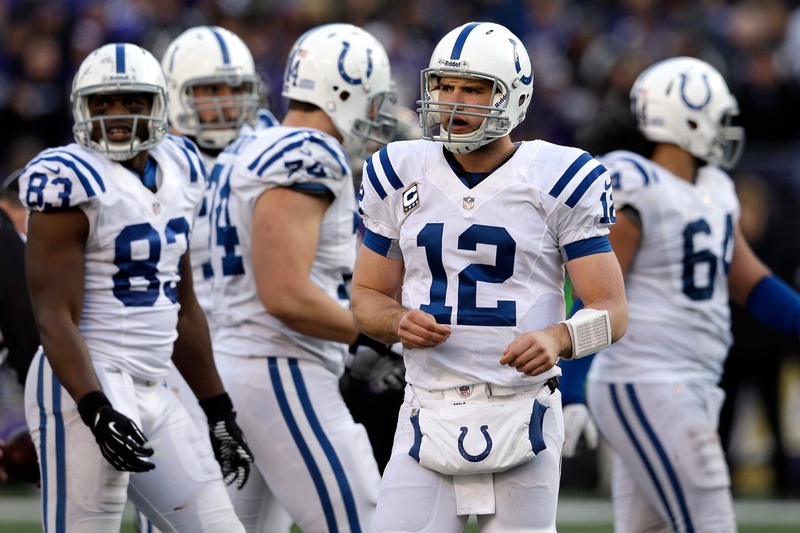 QB Andrew Luck has tossed five touchdown passes, but he has also given up three picks. Heâ€™s got a solid and talent group of guys catching the ball, including wideouts Reggie Wayne and T.Y. Hilton and running back Ahmad Bradshaw. Bradshaw has caught two TD passes and heâ€™s run for another score. Although Indy had some good rushes versus the Eagles, their primary way of gaining yardage is with the pass. They should be able to air it out against the Jags, however Luck has to make better decisions when passing. The Colt defense needs some work. They virtually fell apart last week in the third and fourth quarters. They are 29th against the pass and 17th when defending against the run. The leading tacklers on defense are all in the secondary, and that says something about how well the guys in the front and middle are doing. If the Colts want to win, even against a team like Jacksonville, they have to commit to playing a full 60 minutes of football. Forty minutes just wonâ€™t cut it. They really need to exploit the Jaguarsâ€™ weak defense from the start. The best thing about this game as far as the Jags are concerned is that itâ€™s their home opener. Jacksonville has played its first two contests away. Their first game was a 34-17 lost to the Eagles, and their second was a 41-10 drubbing by the Redskins. Might some home cooking help this team? Jacksonville puts one of the worst offenses in the NFL on the field. QB Chad Henne has a completion rate of 53.6% with his average yards per completion being an extremely low 6.5. Although he has thrown three touchdown passes, Henne has also tossed one interception and been sacked 13 times. The running game is almost nonexistent and the pass attack is ineffective. Equally weak is the Jacksonville defense. They are ranked 26th versus the pass and 28th against the run. Linebacker Paul Posluszny, a quality player, leads the team with 19 tackles total (15 solo, 4 assisted). Also looking good are defensive ends Andre Branch and Ryan Davis. Each player has two of the eight sacks levied by the Jags. It is very hard to win when a team has little to no offense. The frontline of the Jaguars offers Henne little to no protection, and they cannot open the lanes for the running game. Jacksonville has to remedy the problems upfront before anything positive can happen on offense. If Indy cannot beat the Jags, then they have no business being in the playoffs. With their passing attack alone, the Colts should dominate this game. They are the favorite by 7; it should be 14.